A teenager whose body believes everything she eats is poisonous had to be fed through a tube at 13. 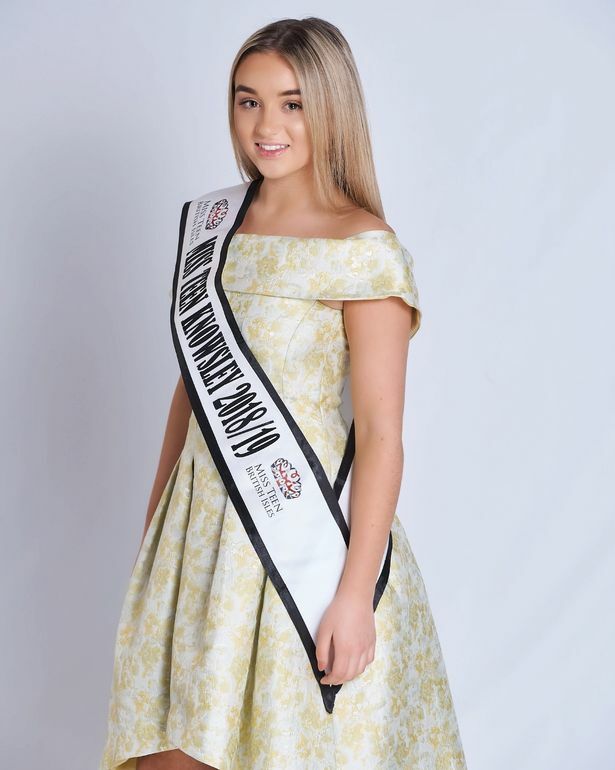 Aimee-lea Smith suffers from the incredibly rare condition Eosinophilic esophagitis - a condition which means every time she eats, cells in her oesophagus react as if food is toxic. Her body revolts against the food causing chronic acid reflux, vomiting and a choking sensation every time the 16-year-old eats. 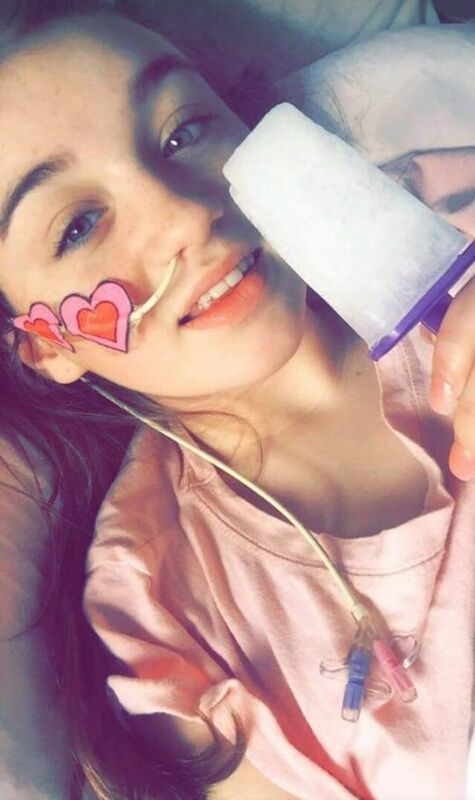 At one point the acid reflux became so bad that the Knowsley teen had to be fed through a tube to give her oesophagus time to heal. Ever since she was born, Aimee-lea's parents, Sharon and Lee, knew there was a problem with their daughter but it took a decade for doctors to diagnose the rare condition. Aimee-lea told the ECHO: "I only got diagnosed at 10, but I always knew there was a problem. I'd had allergies since I was born and I started having checks, biopsies and endoscopies. The condition is so rare, some doctors don't know about it. It was really hard to get diagnosed." Her mum, Sharon Smith, added: "She had been ill since birth and it was basically her symptoms were quite general symptoms. "They had it down to a lot of things, because the condition is so rare, it wasn't even looked at. "They can only diagnose it through a camera and biopsies. Because she was young they kept putting it off. "I begged them and 10 years later they agreed. By the time they caught it quite a lot of damage was done." She added: "The proteins in food that her body believes is a toxin, every time she eats, white blood cells arm themselves in oesophagus believing the food is trying to harm her." On a daily basis Aimee-lea wakes up with acid reflux which then plagues her throughout the day. Any time she eats, she feels like she might choke as her throat starts to close up. Aimee-Lea told the ECHO: "My symptoms are reflux on a daily basis. Every day I wake up and struggle through reflux. It really hurts." "I have difficulty swallowing, so most meals are hard for me to swallow - food always gets stuck. That leads to chest pain, indigestion and heart burn. It's really bad when lying down. The reflux starts inside your throat." "Mainly for me it's reflux, constant reflux, every time I eat I feel like I'm choking all the time. It's horrible." The constant struggle to eat and keep food down means Aimee-lea is often tired and she also has aching joints. However, the inspiring teen says she forces herself out of bed every morning because she "doesn't want to be defeated" by her illness. At just 13 Aimee-lea had to be tube fed because the acid had caused extensive damage to her oesophagus. Giving her food through a tube was the only way doctors could be sure Aimee-lea would not suffer more. She said: "Tube feeding was mentally hard, it just destroyed me, I lost my confidence, it was horrible for me and my family." Achieving a sense of normality was difficult for Aimee-lea when she was tube fed for two months. Aimee-lea said: "I hated going to school. I had to get fed by friends in an office - it was horrible. That was during a top flare, [it's] never been at that point again - I was only 13." To try and contain her symptoms Aimee-lea takes heartburn medication morning and night to try and get some relief. Sharon said: "There's no cure so basically it numbs the pain, but it's a bit like putting a plaster on a broken leg." However, one of the hardest parts of the condition is its effect on Aimee-lea's social life. She said: "It's been hard in the past. People order things and are eating things they want and I have to get a salad. People ask 'why are you eating that? ', 'why are you doing that?' Some people don't understand and that makes it hard."